Periods of rain. Low 41F. Winds ESE at 5 to 10 mph. Chance of rain 90%. Rainfall around a quarter of an inch. 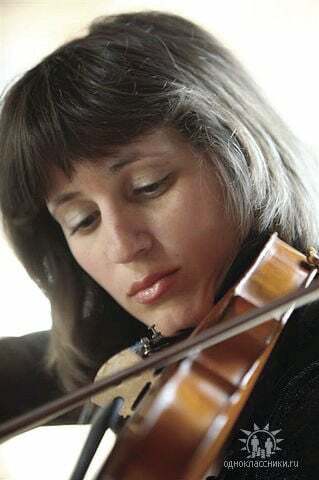 LACONIA — The Unitarian Universalist Society of Laconia is holding a St. Patrick’s Day concert on March 17 at 4 p.m.
Violinist Aniko Geldaze, pianist Noelle Beaudin, and flutist Cathy Kaplan will perform fiddle, flute, and piano music in the Celtic tradition, with influences from Ireland, Cape Breton, Prince Edward Island, Scotland, and Sir James Galway. Tickets are $15. Prior concerts have sold out, so interested concert goers are encouraged to purchase tickets early. Advance tickets may be purchased at Greenlaws Music Store, by calling 603-848-2469, or visiting www.nhisom.org. Light refreshments will be available at intermission. Aniko Geladze is a concertmaster and soloist from Russia. She has collaborated with orchestras and musicians around the world, including Russia, Europe, and Asia. Geladze studied at Royal College of Music in London and participated in concert tours in Spain, France, Belgium, Germany, Taiwan, and Hong Kong. Currently she is a member of the Nashua Chamber Orchestra and the Portsmouth Symphony. She also performs with the University of New Hampshire Music Department, Portsmouth Pro Musica, and the New Hampshire Philharmonic. Pianist Noelle Beaudin performs regularly with Geladze. They provide a mix of traditional, Celtic, Quebecois, and modern fiddle and piano music. Beaudin studied piano performance and composition at the Boston Conservatory of Music and performed in the Boston area before moving to France and the United Kingdom. She now has a studio and music summer camp in the Lakes Region, and performs throughout New England. The church is located at 172 Pleasant St.